Most fight fans didn’t know his real name, which is probably just as well because they probably wouldn’t have been able to spell or pronounce it in any case. So the man with the velvety-smooth tones who came into this world as Setrha Ejdaharian --- he was proud of his Armenian heritage, and never considered legally changing his name – chose to call himself Ed Derian for professional purposes. 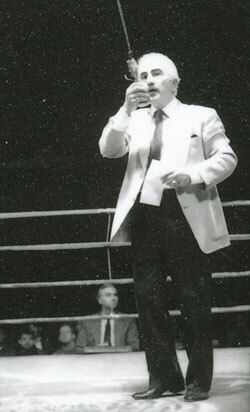 For the better part of four decades, Ed Derian, who was 77 when he passed away on Sept. 26 at Kindred Hospital in Havertown, was the distinctive voice of Philadelphia boxing, the longest tenured and most cherished ring announcer to have graced local rings. 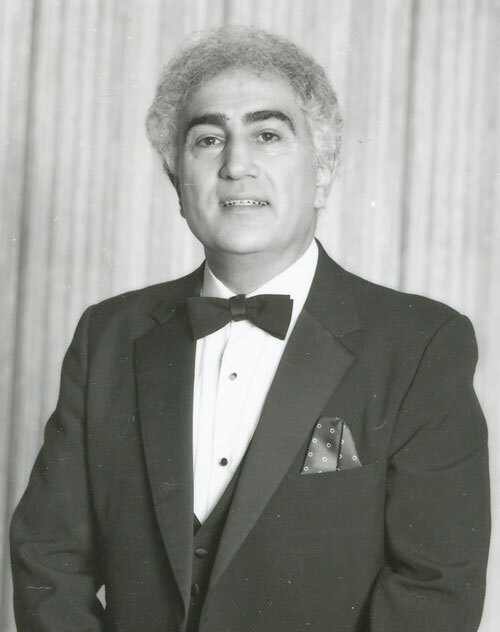 But the reputation of this Philly-born son of Turkish immigrants extended throughout the nation and even the world, thanks to his inimitable style and the power of television. 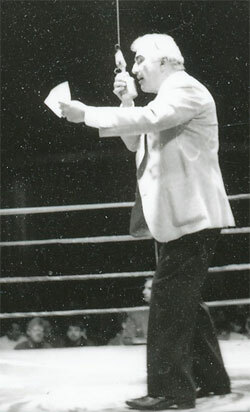 Derian’s first experience as an announcer came as the voice of Roller Games, which was popular in the Philadelphia area in the late 1960s and early ’70s. 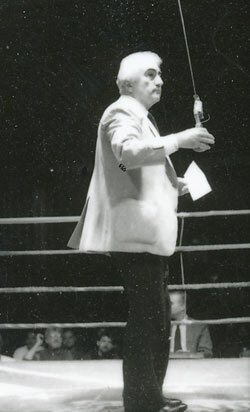 Frank Gelb, a longtime associate of Top Rank founder Bob Arum who staged many of Top Rank’s fight cards on the East Coast, liked Derian’s work and recruited him to announce boxing matches in Atlantic City. It was a pairing that clicked immediately, so much so that Philadelphia-based boxing promoter J Russell Peltz knew he wanted Derian to be the ring announcer for all his cards, many of which were beamed throughout the nation from the Blue Horizon in North Philly. Derian had his pet phrases, as most ring announcers now do, which Peltz did not always find as endearing as did audiences at the Blue Horizon and elsewhere. But Derian was who he was, and he stuck with what he knew and what he felt worked best for him. Jimmy Lennon Jr., the longtime ring announcer for Showtime Championship Boxing, is the son of a southern California announcing legend, Jimmy Lennon Sr. He counts himself as an admirer of Derian, who always entered the ring immaculately decked out in one of the several tuxedos he owned. “I was certainly aware of his work and appreciated him very much,” said Lennon, who was inducted into the International Boxing Hall of Fame in 2013. “He was announcing during the time when I went to the next level of my interest in boxing, from watching it to watching my dad more carefully and then considering (announcing) myself. He had a unique style, where he would repeat the fighter’s name after saying it the first time. He was always fun to listen to. What happened is that Derian’s wife of 47 years, Roxy, did on Oct. 6, 2012, leaving a hole in her husband’s heart that never could be completely filled in. He also found it difficult to climb steps and enter the ring after having both hips surgically replaced. His right leg was amputated above the knee on Sept. 4, which served to accelerate his decline. But his physical health issues paled in comparison to his loss of mental acuity after he was diagnosed with dementia, which obliged Peltz to make the difficult decision to part ways, in a professional sense, with one of his dearest friends. “Eddie was a wonderful guy, and I stuck with him probably longer than anybody until he just couldn’t do what he had always done so well,” Peltz said. Charles Brewer, the former IBF super middleweight champion, said he and other fighters always enjoyed being introduced by Derian. By either name, Ejdaharian/Derian is survived by his son, Deron, and sisters Susie Ejdaharian and Anna Ejdaharian Karagelian. There will be a public viewing on Tuesday at St. Gregory the Illuminator Armenian Apostolic Church, 8701 Ridge Avenue in Philadelphia, from 10 to 11 a.m., followed by a memorial service at the same site and internment in Arlington Cemetery in Drexel Hill, Pa.